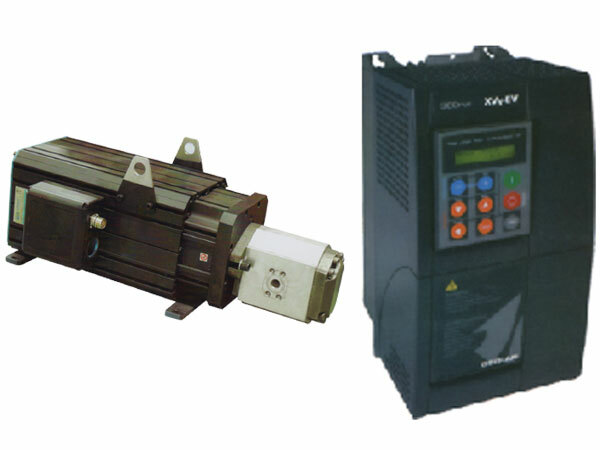 Servo Controller – Emactra Machine Industries India is a leading manufacturers and exporters of industrial presses. The servo System can control the machines’ pressure, speed and location precisely makes sure that the error of accurate repeatability Precision for the shot measure is â‰¤0.3%. So that it can achieve the Precision Injection Molding Machine. Because the motor vector is matched with the controller accurately, it just takes the 0.05S when input the number from 0 to max. Compared with other traditional hydraulic injection molding machine, AF series machine’s speed is obviously more quickly, each cycle time is shorter, the production efficiency is higher. Compared with the traditional fixed pump and variable pump system, the noise will be lower 1/10 under normal circumstances. What’s more, the noise of overall system will be less than 80dB when under the high-speed circumstances. So this series is more suitable for the sealed dustless workshop. Overall efficiency is more 10% and the driving capacity is more 18% than the common machine. Related to the energy saving, this series Can save energy about 30%~80%, with the first-class energy efficiency. The system condition prevent high pressure unloading without any power output leads to the cooling water saving.